The session began with “Maggie’s Farm“: only one take was recorded, and it was the only one they’d ever need. 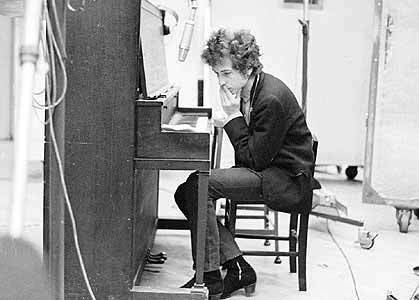 From there, Dylan successfully recorded master takes of “On The Road Again,” “It’s Alright, Ma (I’m Only Bleeding),” “Gates of Eden,” “Mr. Tambourine Man,” and “It’s All Over Now, Baby Blue,” all of which were set aside for the album. A master take of “If You Gotta Go, Go Now” was also selected, but it would not be included on the album; instead, it was issued as a single-only release in Europe, but not in the U.S. or the UK. Though Dylan was able to record electric versions of virtually every song included on the final album, he apparently never intended Bringing It All Back Home to be completely electric. 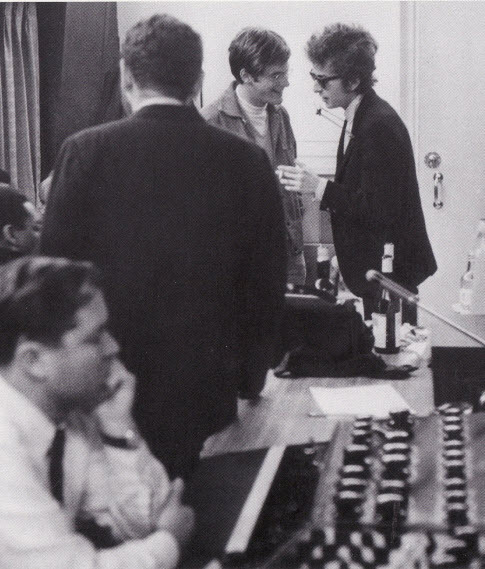 As a result, roughly half of the finished album would feature full electric band arrangements while the other half consisted of solo acoustic performances, sometimes accompanied by Langhorne, who would embellish Dylan’s acoustic performance with a countermelody on his electric guitar. the rhythmic effect of the words. ‘There was a stellar crop of musicians in the studio that day . . . but somehow no one stepped up to fill the lead role. I sort of filled in the gaps, waiting for someone to take over. The result was a guitar lead part that never got in the way of anything or stepped forward to say ‘‘Look at Me!’’. In retrospect, I feel that it was just what the song needed. The song’s title echoes the title of Jack Kerouac’s novel On the Road, which was a defining work of the Beat Generation. Dylan has acknowledged being influenced by Kerouac. However, it seems more likely that the title, and the song in itself, is a response to the song ‘On The Road’, a traditional blues performed by the Memphis Jug Band with more serious lyrical content concerning an unfaithful woman. Honey, do you have to ask? Well, I still do that song [It’s Alright Ma]. It’s still very relevant to me. Ironically, this song, which Dylan performs unaccompanied on the “folk-side” of his half-folk, half electric album, is more of a rock and roll performance than anything else on the record. ….and proceeded to record the final versions of “Mr. Tambourine Man”, “It’s Alright, Ma” & “Gates Of Eden” in a single take with no playback between songs… it’s as though all three songs came out of him in one breath, easily the greatest breath drawn by an American artist since Ginsberg & Kerouac exhaled “Howl” & “On The Road” a decade earlier.. 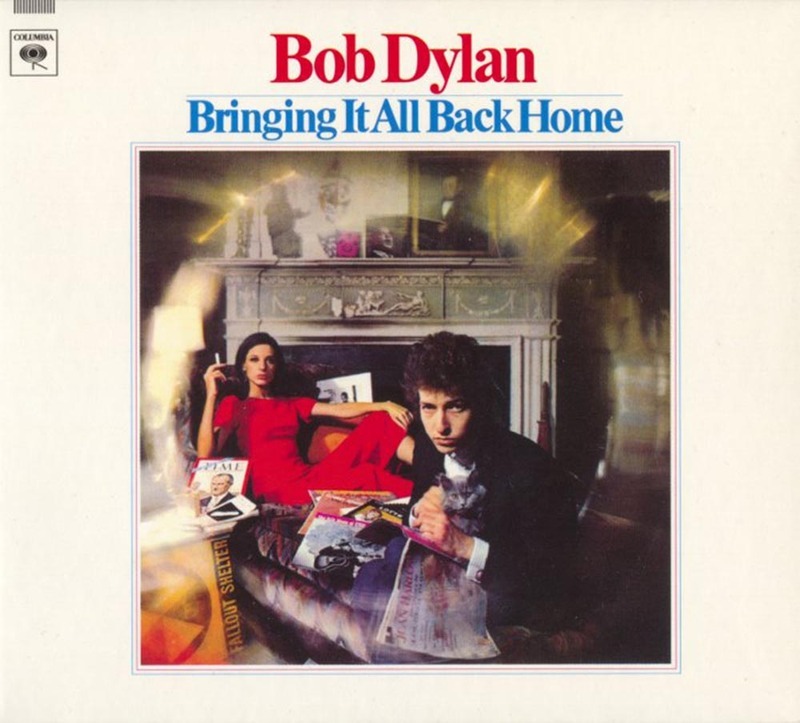 The lyrics were heavily influenced by Symbolist poetry and bid farewell to the titular “Baby Blue.” There has been much speculation about the real life identity of “Baby Blue”, with suspects including Joan Baez, David Blue, Paul Clayton, Dylan’s folk music audience, and even Dylan himself. *One of 24, 25, 26 or 27 overdubbed by unidentified musicians 21 May 1965 in Studio A, Columbia Recording Studios, New York City, New York and released on THE BOOTLEG SERIES (RARE & UNRELEASED) 1961-1991, VOLUME 2, COLUMBIA 468 086 2, 26 March 1991. 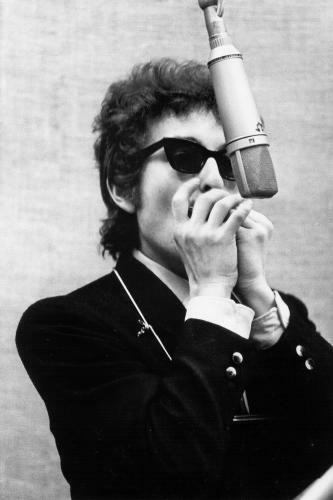 Bob Dylan (guitar, harmonica, vocal). So…apparently…John Sebastian WAS THERE (witness the above photo) but did not play anything ? Hi PJ & thanks for the feedback. According to my research…. John Sebastian only played bass on the evening session on January 14 (the second recording session). None of the 5 takes done that evening have been released. The picture is probably from Jan 14.